GOLETA, Calif. - A 47-year-old Goleta property just received a major facelift. Community leaders celebrated the rehibiltation of Villa la Esperanza Tuesday. Now, more affordable rental housing is available in Santa Barbara County. Villa La Esperanza in the Old Town area just added a 5,000-square foot community center and eight new units, increasing the available rental units from 75 to 83. Villa La Esperanza is run by People's Self Help Housing. The largest non-profit housing developer on the Central Coast says they are commited to making sure Villa La Esperanza would stay affordable for years to come. 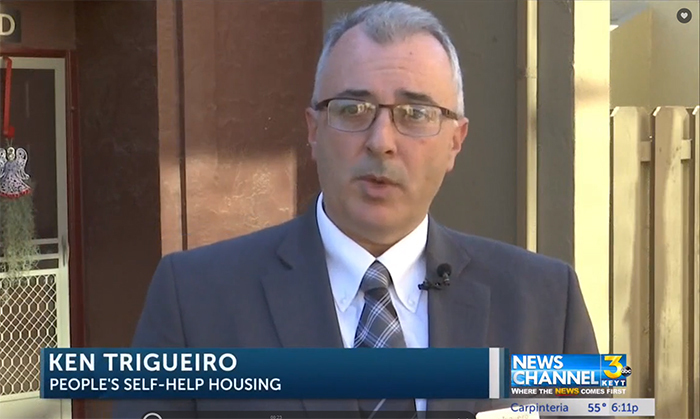 "What we wanted to do is to reset the restrictions for another 55 years into the future to guarantee the future residents of here would only have to pay whatever they make, approximately 30% of their income will go toward their housing, that’s what we feel makes it affordable," said Ken Trigueiro, with People's Self Help Housing. A learning center providing tutoring, college prep and adult education classes was also included in the renovation.